Think the 2017 Ford F-150 Raptor is just a bit too tame straight from the box? 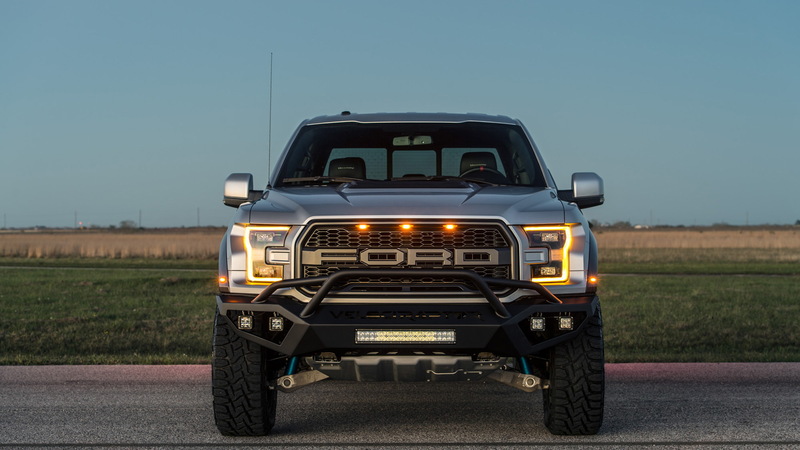 Well, Hennessey Performance of Sealy, Texas has just launched a package that will tune the truck to performance levels that were the realm of supercars not that long ago. 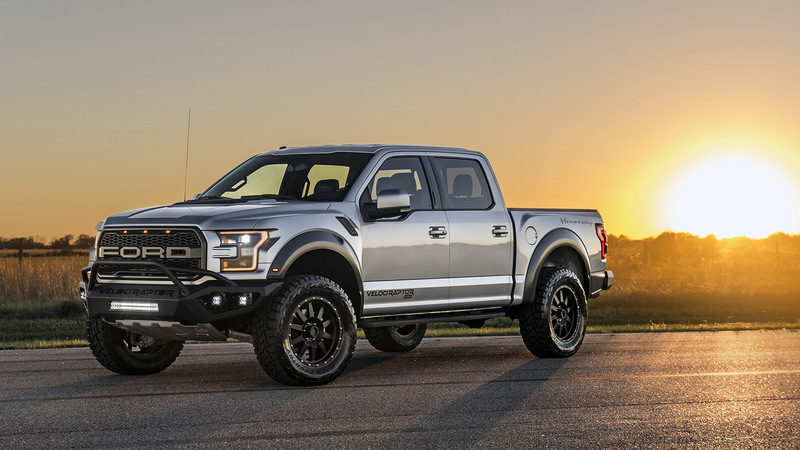 Hennessey’s initial package for the second-generation Raptor, which adopts the company’s VelociRaptor name, dials output from the truck’s twin-turbocharged 3.5-liter V-6 to an impressive 605 horsepower and 622 pound-feet of torque. That’s up from just 450 hp and 510 lb-ft in the stock model. 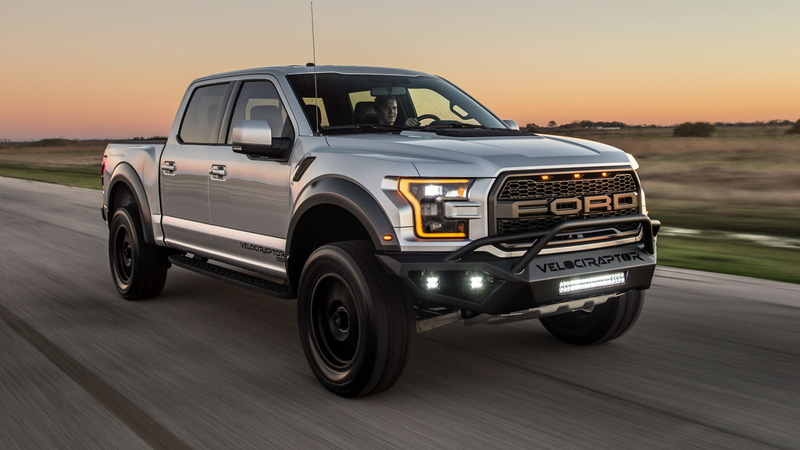 The result is that Hennessey’s version of the Raptor, officially the VelociRaptor 600 Twin Turbo, will sprint to 60 mph in 4.2 seconds and complete the quarter mile in 12.9 seconds at 110 mph. Yes, it's a 12-second, full-size pickup truck! The upgrades required to deliver this performance include custom turbochargers, an upgraded intercooler, high-flow intake and exhaust systems, all necessary gaskets and fluids, and a retune of the ECU to ensure everything runs smoothly. 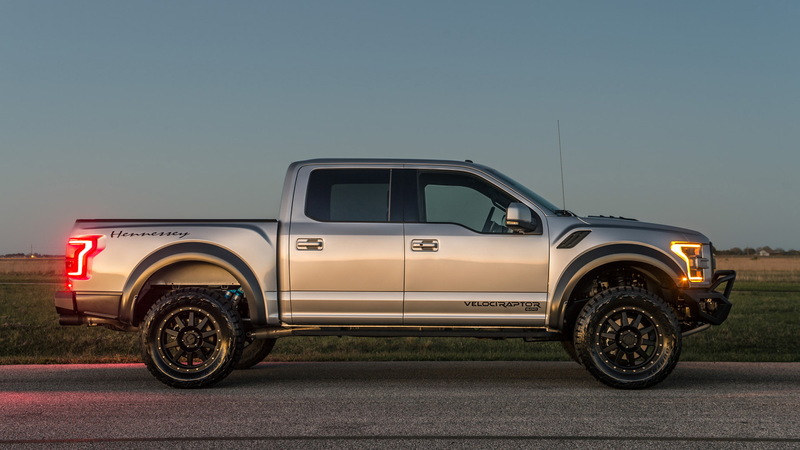 Hennessey plans to build just 100 examples of the VelociRaptor 600 Twin Turbo for 2017. Each will be fitted with a numbered plaque, one in the engine bay and another in the cabin. 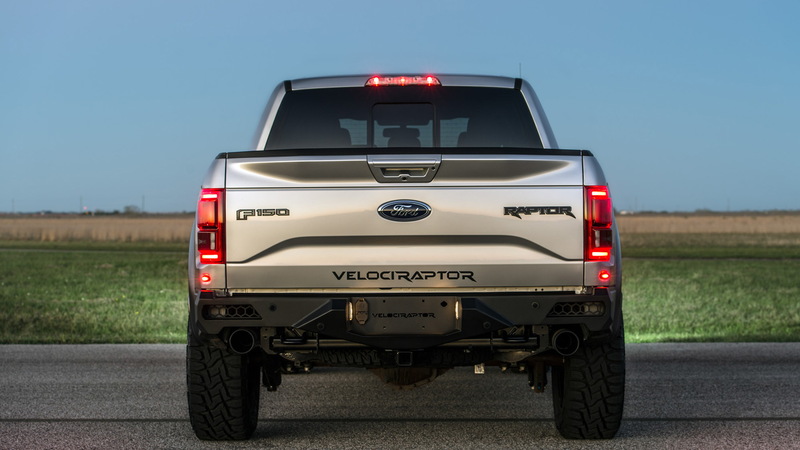 Hennessey also offers an off-road package for the Raptor. Shown here, the package includes new bumpers, a 3.0-inch raised ride height, a front suspension leveling kit, and 20-in wheels shod with 35-in Toyo off-road tires. And for those buyers with really deep pockets, Hennessey can build a 6x6 version of the Raptor. It’s designed to handle pretty much any terrain out there, thanks in part to its locking rear axles, upgraded Fox suspension, and 20-in wheels and off-road tires.